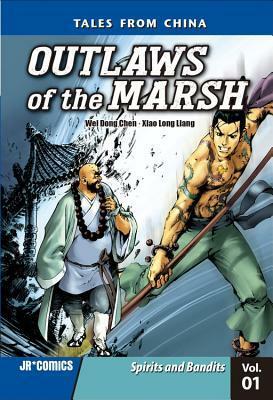 The story concept and the art felt fresh and captivating; this graphic novel adaptation of Shi Nai'an classic tale of spirits and adventure is a must read. Taking place in rural China we see the villains rise to power, setting the groundwork for our eventual heroes. The art was a cross between the American style graphic novels we all know and love and manga style art. The book is captivating and really preserves the integrity of Shi Nai'an's original work.